Our team of dedicated chiropractors will accompany you through the steps necessary to recover your health. Your chiropractic doctor will do the appropriate exams in order to detect the vertebral disorders responsible for your health problem. Physical, postural, orthopedic, neurological and chiropractic examinations. As the posture analysis requires great precision, standing X-rays are made according to the strictest positioning rules, exclusive to CBP®. A maping of spinal Temperature will be made to asses the integrity and function of the spine and nervous systems. Your chiropractor will explain your condition in detail and will establish your protocol of care according to your health goals. We use a wide variety of chiropractic adjustment techniques to meet the needs of all: newborns, children, pregnant women, adults, the elderly and athletes. Your chiropractor will prescribe specific postural exercises and possibly traction to correct your postural deviations and recover the optimal alignment of your spine. 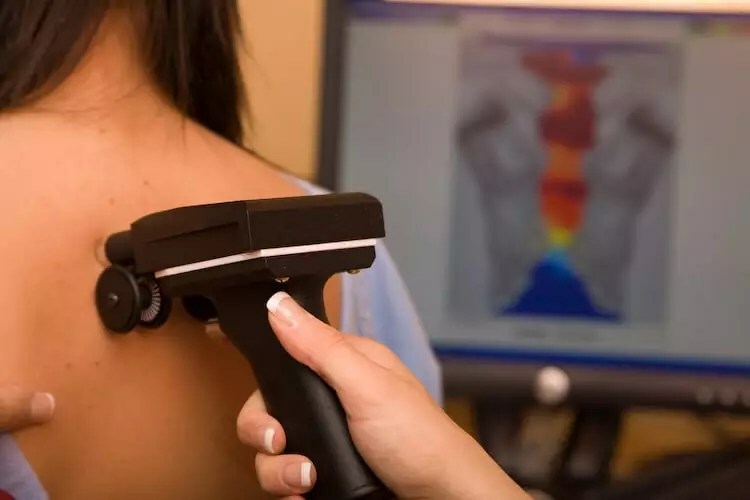 If you suffer from scoliosis, deformity of the spine or feet, herniated disc or severe osteoarthritis, it is possible that your doctor in chiropractic offers corrective orthotics. Your doctor will closely monitor your progress through regular check-ups: comparative x-rays, digitized postural analyzes of progress and others.